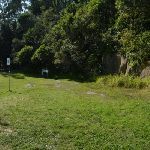 Pinchpoints beside metal gate. 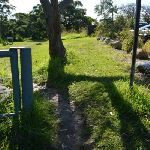 The flatest area beside the gate is 1m wide (total width 1.5m). 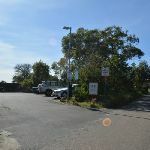 There is alternate around gate via car park over the concrete wheelstops. 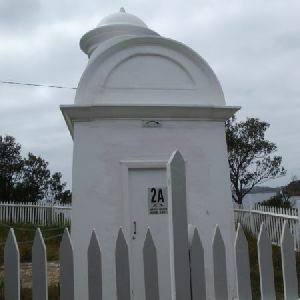 Gate is 96cm high. 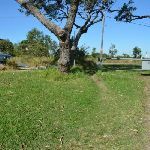 and follows the grassy trail gently downhill for about 40m to come to an intersection beside the ‘Sydney Harbour National Park’ sign. 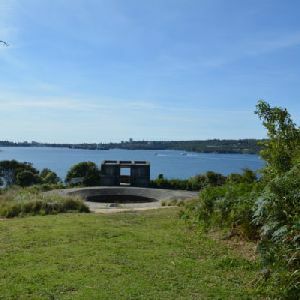 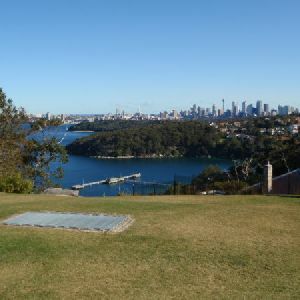 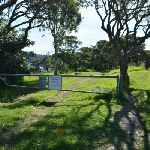 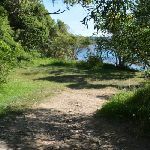 Continue straight: From the intersection, this walk follows the ‘Cobblers Beach Road’ arrow on the ‘Sydney Harbour National Park’ sign downhill along the gravely management trail. 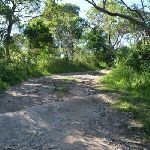 After 110m the trail narrows for about 5m (to 90cm) to pass a pile of spoil then about 20m later comes in an unmarked intersection (with a faint track on the right). 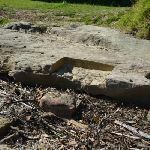 A series of 4 cut sandstone steps (ranging up to 34cm high) and debris to access sandy beach area. 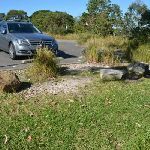 Trip Hazard A series of 4 cut sandstone steps (ranging up to 34cm high) and debris to access sandy beach area. 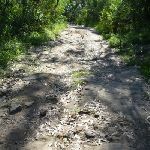 Found about 440m into the walk. 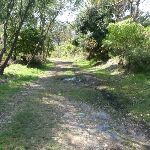 Around 290m of this walk is very steep, whilst the remaining 180m has gentle hills with occasional steps. 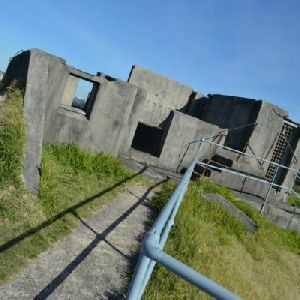 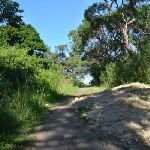 Around 420m of this walk follows a formed track, with some branches and other obstacles, whilst the remaining 50m follows a clear and well formed track or trail. 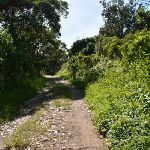 Around 420m of this walk has directional signs at most intersection, whilst the remaining 50m is clearly signposted. 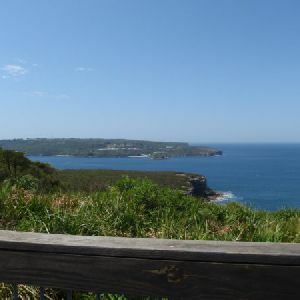 Around 290m of this walk has limited facilities (such as not all cliffs fenced), whilst the remaining 180m is close to useful facilities (such as fenced cliffs and seats). 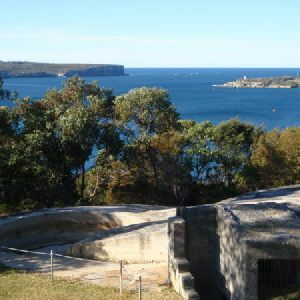 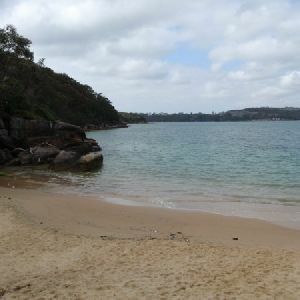 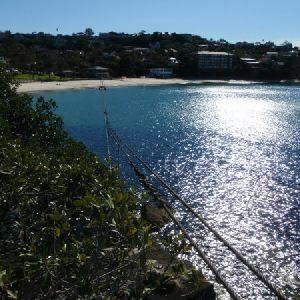 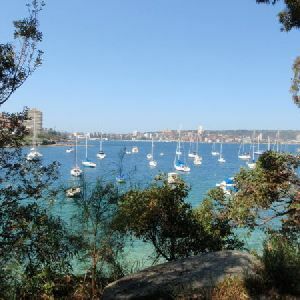 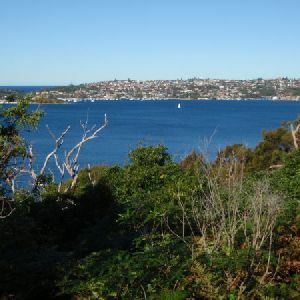 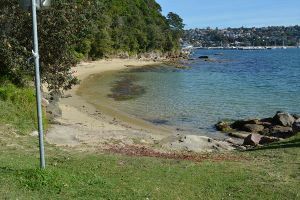 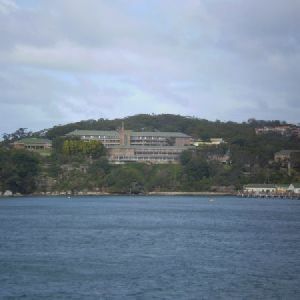 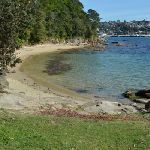 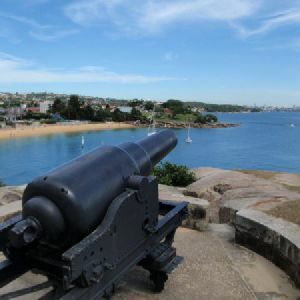 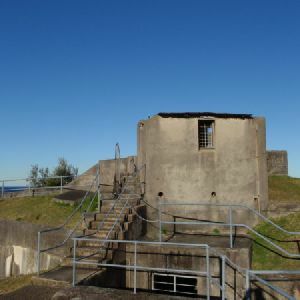 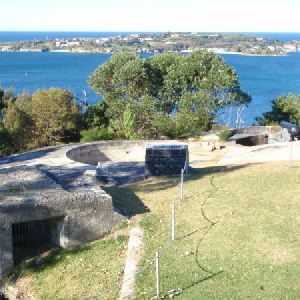 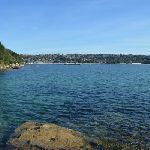 A list of walks that share part of the track with the Cobblers Beach walk. 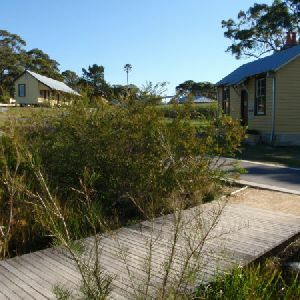 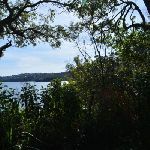 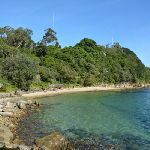 A list of walks that start near the Cobblers Beach walk. 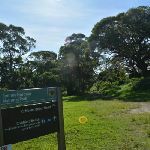 http://new.wildwalks.com/wildwalks_custom/includes/walk_fire_danger.php?walkid=nsw-shnp-cb Each park may have its own fire ban, this rating is only valid for today and is based on information from the RFS Please check the RFS Website for more information.